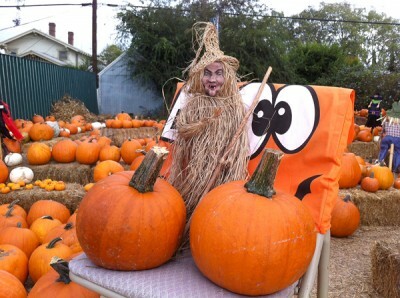 A WITCH hung out with the pumpkins at last year’s patch. Pick out your Halloween pumpkins and support Wilshire Rotary Club at a Pumpkin Patch at 568 N. Larchmont Blvd. on Sat., Oct. 12 to Wed., Oct. 30. Hours are 3 p.m. to dark on weekdays and 10 a.m. until dark on weekends. Supplies will be provided on Sat., Oct. 12 at 2 p.m. for kids to make take-home Halloween crafts. Youngsters can make new friends at a petting zoo on Sat., Oct. 19 from 2 to 4 p.m. A pumpkin-carving contest is open to kids of all ages on Sat., Oct. 26 at 2 p.m. Prizes will be given in a number of categories. The Rotary’s Christmas tree lot opens Sat., Nov. 30 and continues through Mon., Dec. 23. Nobles and Douglas firs in all sizes will be arriving fresh from Oregon. Wreaths and garlands will also be available for purchase. Proceeds from both the Pumpkin Patch and tree lot benefit charities and community service projects here and abroad through the Wilshire Rotary Foundation and Rotary International Foundation.